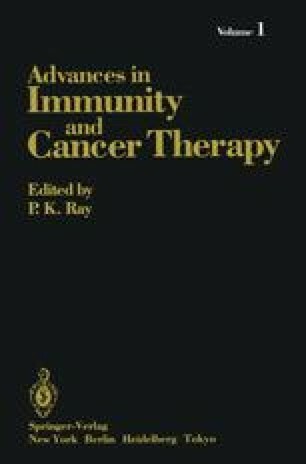 Cancer patients, especially those with clinically advanced disease, have demonstrated a variety of immunologic dysfunctions. However, it has not been possible to relate this multiplicity of abnormalities to a primary causal relationship with the host’s tumor. Although many reports have linked immune dysfunction to advanced stages of disease, the wealth of conflicting results in studies from various institutions has made it difficult to obtain data that are meaningful to the clinician.